My biggest complaint about winter biking is cold feet. Now that I converted to clipless pedals, I don’t like to trail ride with flat pedals. Wearing my regular snow boots on flats is even worse, as my feet were sliding all over the pedals. If I wear my normal clipless shoes in the winter, my feet end up freezing, even with heavy wool socks. The steel plate in the bottom of the shoe, with an uninsulated shoe draws all the heat from your foot. Last time I rode in the winter with my clipless shoes, I nearly got frostbite on my toes. Unfortunately, winter boots designed for clipless riding are expensive. They all start over $200, and some are even more. That’s a lot of money for a pair of shoes that a purpose built and only used part of the year. 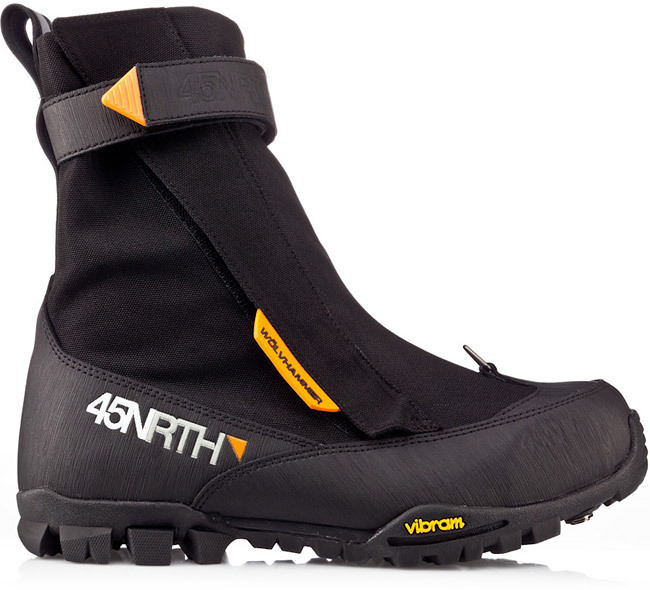 Well, I broke down and ordered a pair of 45nrth Wolvhammer boots. The Wolvhammers are the best rated winter boots for clipless riding. Several of my friends have them, and have replaced other clipless boots with Wolvhammers. I’m eagerly awaiting for next winter when I’ll be able to ride with warm feet.